Ten years ago, I had the good fortune to be featured as an expert on The Oprah Winfrey Show and to meet the all-time queen of daytime talk TV. That life-changing experience led to many more connections with Oprah’s vast production network of TV shows and spinoffs, not to mention increased speaking engagements and book sales. After appearing on Oprah, I initially went on to do Oprah After the Show, and later Oprah’s reality TV show, called The Big Give. I had already appeared The Dr. Phil Show, but I got re-booked there repeatedly. Ditto for The Rachael Ray Show. I also went on to become Tyra’s featured money expert on The Tyra Banks Show, and now I’m a core money expert on The Dr. Oz Show. I have gratitude for all these wonderful TV opportunities and others as they’ve allowed me to expand my brand and become nationally known as Lynnette Khalfani-Cox, The Money Coach®. Beyond helping me achieve a greater level of fame and TV exposure, however, Oprah taught me many key lessons that have served me well in many ways over the years. In the spirit of paying it forward, here are just 3 lessons I learned from Oprah that can benefit you as well. For my Oprah appearance, I was brought on the show to explain how and why people who come into sudden wealth somehow blow their money. You’ve heard the stories before, right? Individuals with big lottery wins, enormous inheritances, or even celebrities and athletes with multi-million dollar contracts all seem to run through boatloads of cash and wind up broke. I explained to Oprah that it mostly boiled down mostly to one thing: an inability to say “No” to others. Well, that must have resonated with Oprah because behind the scenes of my episode, Oprah shared with the audience and me her own story of helping family members and friends financially – and then learning where to draw the line. Oprah explained that she knew what it was like to earn every level of income — $25,000 a year, $50,000 yearly, $100,000 and even millions per year. At the time of our taping, she was already a billionaire. Even though Oprah’s charitable nature is legendary – we are talking about a woman who gives generously to multiple causes around the globe – Oprah nevertheless knows how important it is to establish financial boundaries with loved ones. Oprah disclosed how she once threw a big party for numerous family members and friends. At this bash, she surprised them all by writing each and every person a whopper of a check. It was money that each party guest had previously said he or she needed for various things, like starting a business, paying for a child’s college education and so on. Can you guess what happened? Oprah revealed that in a year’s time, they’d all blown the money! After that, she said, she was done. She didn’t feel guilty any more about not giving money to those people because she didn’t want to become a financial enabler, she didn’t want to waste her money, and she knew better than to throw good money after bad. It was a lesson I took to heart – and so should you. 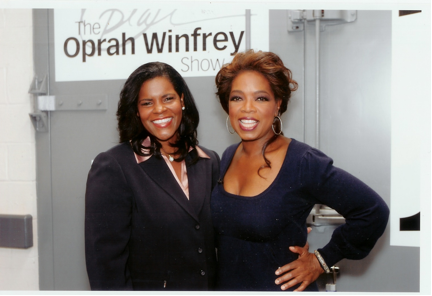 As an entrepreneur, Oprah has inspired countless people, myself included. But after she launched O Magazine, I recall Oprah explaining in an interview why she was on the cover of each and every one of her magazines. The gist of Oprah’s explanation was that she graced all the covers because her name, her brand and her image were what sold the most magazines and subscriptions. Talk about a shrewd businesswoman! Not only did Oprah know that she was her own best brand ambassador, Oprah also knew that her audience intimately. So she recognized early on that people connected with her so viscerally that nobody else – not even other celebrities – were going to outsell Oprah if they were to be put on O Magazine. 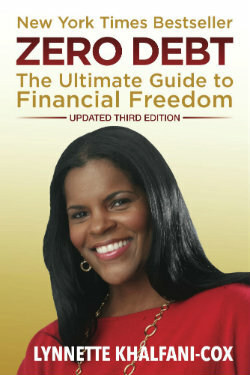 My husband, Earl Cox, thought we should take a page from Oprah in deploying this strategy. So when we launched my corporate website (TheMoneyCoach.net), and later my blog (AskTheMoneyCoach.com), and then my online video platform (Money CoachUniversity.com) Earl made sure my face was front and center on everything. Some people didn’t initially get the strategy. Debby was extremely savvy on the business front and she didn’t get too many things wrong. But this was one of them. Promoting my own name, face and image has paid huge dividends in terms of business contracts, brand awareness and my consumer and media recognition. I can – and do – even license my name and image for selected, strategic business opportunities. Thanks in part to Oprah, I know the value of my brand. We all often function according to what I call a “script.” That’s the message we tell ourselves. It’s what we think we should do in any given situation. Sometimes, we’re following a script because we’ve been raised or conditioned to operate a certain way. Sometimes we follow a script or behave in a given manner because we’re just acting out of habit or doing what we’ve always done. In most cases, though, the script that we’re living our lives according to – personally or professionally – is based on what other people want, what others expect from us, or what others have told us to do. But sometimes, sticking to a nice, safe script or doing what others say is not the best course of action. Throwing out the script means being willing to trust your gut instincts, do what seems best to you, and not conform to other people’s ideas and expectations. Oprah demonstrated this principle – in fact, she modeled it for me in a powerful and unforgettable way – when I first appeared on her show. Picture this: At the time I went on The Oprah Winfrey Show, the producing team I worked with was comprised of seven – yes, seven – producers. They had everything laid out: where I should sit, how many questions Oprah would ask, the time allotted for my answers, and so on. In short, our segment was highly scripted. I was supposed to sit in the front row – where all the experts usually sat as Oprah asked them questions. But suddenly, after I was seated, Oprah starts waving her hands, beckoning me, and she tells her producers: “Bring Lynnette up here!” Then she added: “Let her come sit next to me,” and she patted her hand on the sofa for emphasis. Those two sentences literally and figuratively changed the entire direction of our segment. Several producers looked flustered that Oprah had thrown a monkey wrench into their well-choreographed show. With just 11 short, sweet words, she’d quite literally thrown out the script. As for me, everything started taking on a completely dreamlike quality – not that just being on The Oprah Winfrey Show wasn’t already dreamy enough! But it was so surreal as I left my front row chair to go sit on that iconic yellow sofa. As it turned out, that simple tweak – me sitting adjacent to Oprah – gave us a better rapport, prompted Oprah to ask me additional questions during the show, made the overall segment flow much better, and also led to us taping an episode of Oprah After the Show. All because Oprah knew when to trust her instincts, run things her way, and throw out the script. Later, Oprah invited me, Earl, my sister Debby and my former publicist, Benita, to come backstage and she took personal photos with us. It was a nice, classy thing to do – and it capped off an unforgettable experience.